Being disappointed and dissatisfied with life can be caused by a myriad of things. But for many of us, these are symptoms that we have focused too much on ourselves and are angry with life. We have forgotten to count our blessings, neglected giving thanks to God, become silent in our praise to our Father, and have quit helping those around us. Thinking of others is how Christ lived. When we follow his example, our actions make a difference in the lives of those we bless and we also find ourselves immensely blessed as well. 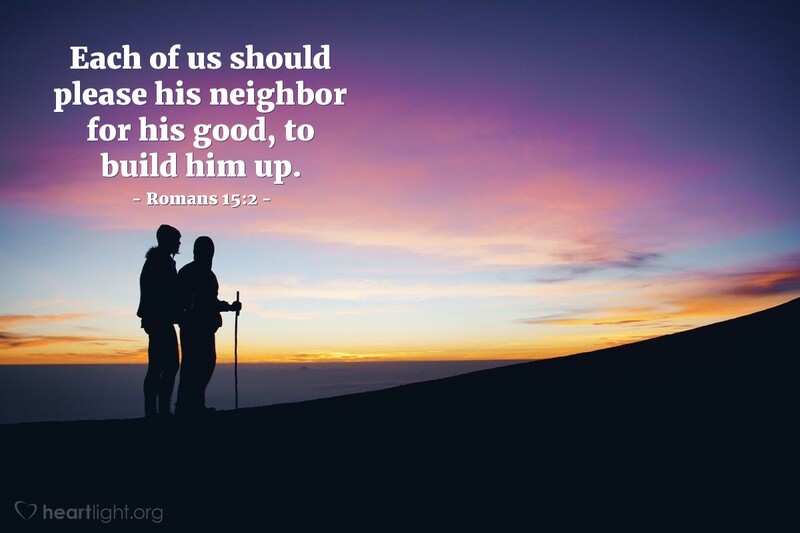 Let's get our focus off ourselves and look to bless our neighbors! Holy and Matchless God, help me see the brokenness, hurt, and difficulties in the lives around me. Please use me to bless others who so desperately need to experience your love and grace. In Jesus' name I pray. Amen.